Today is officially the first day of ours at Maldives. We got up early for the breakfast that was included in our package. Must get your package deal at least half board or all-inclusive or full board. Our package is half boarded which includes breakfast and dinner. Full Board includes breakfast, lunch and evening meals but any drinks or snacks outside the meal time will cost you extra. All-Inclusive category which is the most preferred one for families which includes all meals and local drinks. 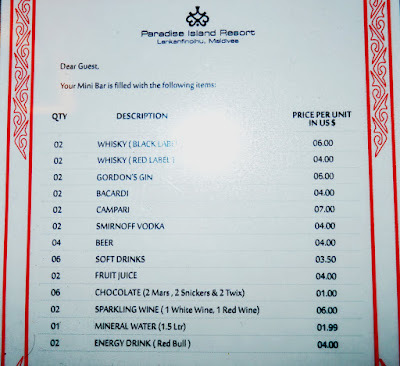 Paradise Island Resort in Maldives (where we had booked our stay), is equipped with multiple options of restaurant. ‘Bageecha Restaurant’ tops the list as it is the main dining place. 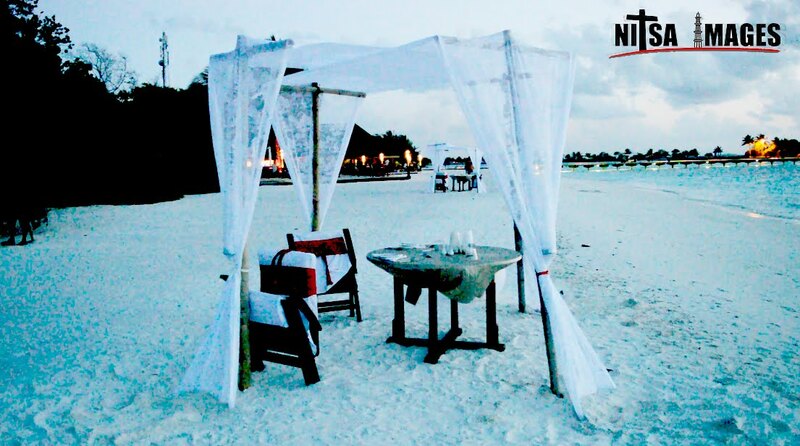 Dining at this place is included in our package. It gives you wide range of food variety and luckily this was the most nearby restaurant from our room. As we were about to enter ‘Bageecha’, a sweet lady came to us and asked, ‘May I know your room number please!’ After that she allotted us the table at the restaurant. For your entire holiday at the resort, you have got a fixed table reserved by your name. Now you don’t need to hurry to get your choice of table every time you go for meal there. Regarding the food items, Maldives is going to disappoint the vegetarians anyhow. But this was not at all a surprise for us guys, we had already done a lot of research before going to Maldives. We already bought a lot of ready to cook kind of food items with us. But still ‘Bageecha’ provided us with lots of fresh fruits, juices and wide variety of breads. Nitin had his days there as he was always available with his favourite dish ‘omlette’. Similar to above mentioned, there was 'Lagoon Restaurant'. It caters to those who have accommodation in water bungalows and those who have pre -booked their meals. 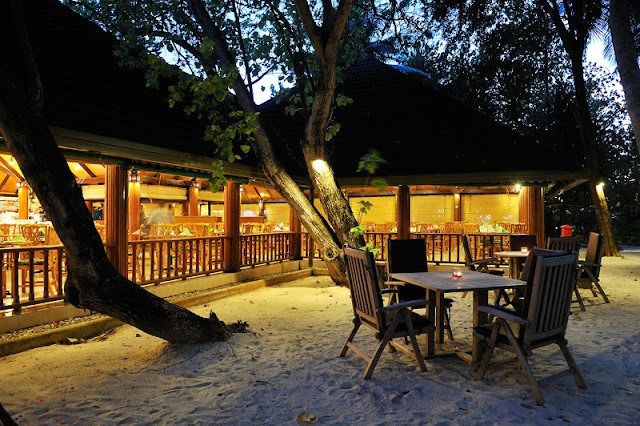 Other eating options include, 'Tramanto' (an Italian restaurant) and ‘Fukuya Teppanyki’ (an Authentic Maldives Sushi Restaurant). For a change we also did try the Italian Restaurant 'Tramanto', but it also failed to satisfy our Indian taste. We ordered a vegetarian pizza there. That was again the only available option for vegetarians. One medium sized pizza costing us around 12 US dollar. Paradise Island - Cashless island - No cash to be paid anywhere at the island as every penny you spend, is to be paid on last day while you checkout from there. And the most exciting one is the 'Athiri Bar', adjacent to 'Bageecha Restaurant'. This is the place more famous as WiFi zone. It is the place where free WiFi is available to visitors. 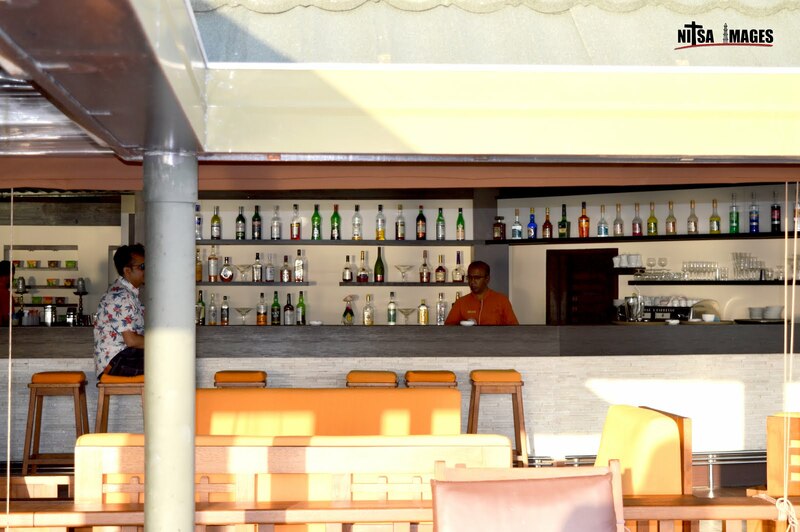 Drinks are available here for all-Inclusive package and open all night). We staying in the nearby room to reception, were easily able to visit this bar whenever required. Many fun activities including karaoke night, disco nights, Sing your own Song, etc., are arranged for song lovers. Visitors spend their entire night here. And the most amazing part is that they organise different activity each day. 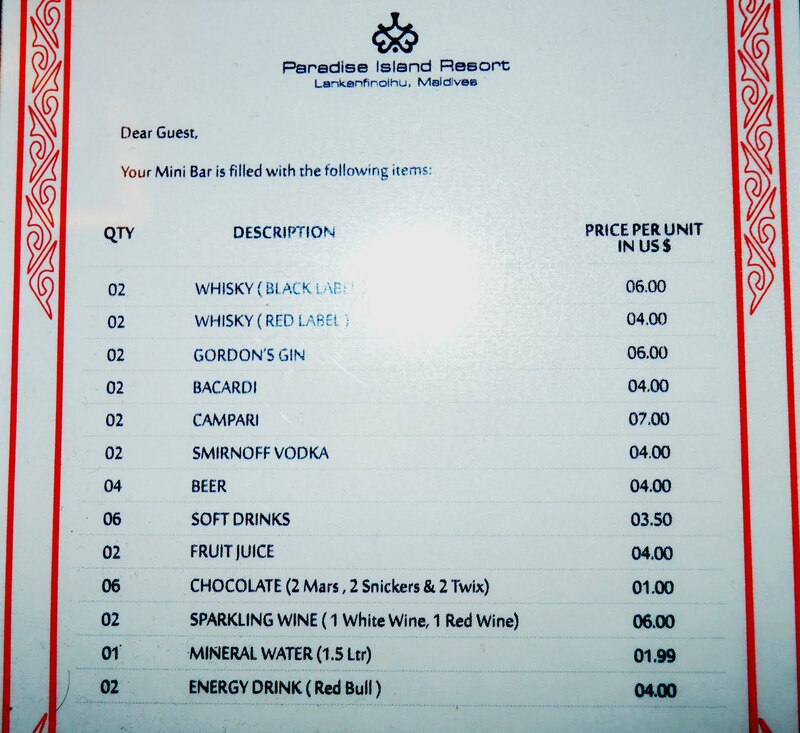 Check out the image attached for alcohol price. And also not to forget that drinking water is not free here. They will provide you with half litre of drinking water per person every morning and rest you need to buy costing 2 US Dollar for every 1.5 litre. Undoubtedly, one of nice way of letting people know the importance of water in our lives. The Paradise Island resort also provides arrangement for romantic beach candle light dinner costing 80 US Dollar per couple. They acquire your permission for such arrangements during meal time. They also make arrangements of cake and wine (on special request) at your room on occasions such as anniversary or birthday, and that too free of cost. First of all, a post has been wonderfully posted and very helpful. I would like to know regarding romantic candle light dinner, as you have mentioned 80USD, is it the price of setup or with food ? And I have already booked half board package so is it possible to transfer a dinner booking to lunch if I opt for candle light dinner. I am awaiting for reply. I have been to many places that you are usually talking about in your articles and they were worth of being there. Before reading your posts I was never having idea about such places. I like both traveling and delicious food. ‘Bageecha Restaurant’ looks really good and I know that I can rely on your review. 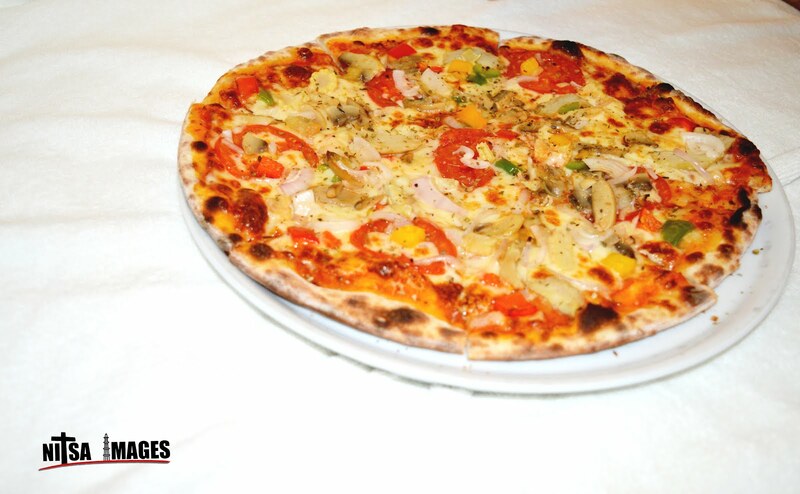 Pizza on your photo looks very yummy and I hope I will have a chance to try it.